12Volt 5 amp switching power supply (12V 5A DC adapter) with wide AC input range and power-barrel connector in stock, 12 Volt 5A 60 Watts. 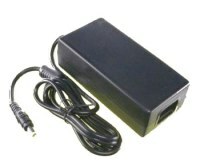 This inexpensive 12 volt AC/DC switching power supply adapter is useful for applications needing regulated 12 volts at 5.0 amps or less. 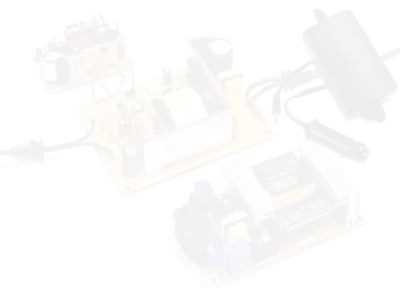 For more 12 volt power supplies of all styles click here. High quality 12 volt power supply with removable IEC AC connector, comes with the USA 3-prong AC cord. 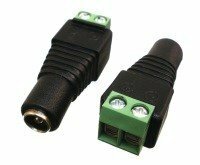 This power supply can be used in any country because of its wide input voltage range. Stocked in the USA. Input Connector Removable three prong IEC C14 socket takes an IEC C13 plug and makes it easy to use international mains cords, the North American cord is included.